Tired Of Your Old, Uncomfortable Mattress? The Mattress Man Is Here To Help You. Sadly, millions of people all over the United States suffer from issues related to poor sleep. Most of the time, inability to sleep is made worse by an old mattress that has started to sag, poke you with uncomfortable springs, or have other issues. If you can’t sleep, you need a new mattress! When looking for a mattress Lanham MD area residents deserve a single option that covers all of their needs. The Mattress Man provides it — with a mattress super store that offers all the perks you could want. It’s never been easier, faster, or less expensive to get a great new mattress! Just take a look at the great features we offer to help you find any mattress Lanham MD locals might want. Once you find out about the Mattress Man, you’ll never want to shop elsewhere! When it comes to mattresses, everyone has their own preference. There are countless brands out there, but we want to make things both convenient and straightforward for your shopping needs. We stock only the very best brands, with a selection that includes award-winning mattresses for any sleep style. No matter what will help YOU sleep, you’re bound to find it in our showroom. In addition to traditional mattresses, we also offer bunk beds, day beds, futons, and a wide range of other styles. Our goal is to provide you with a true “one stop shopping” experience so you can meet all of your bedding needs like never before. We will never stock a mattress that The Mattress Man himself wouldn’t sleep on. If you want to compare new mattresses and find something that will make your nights better, come visit us. Our Financing Makes It Fast And Easy For You To Get The Bedding You Want Sooner Buying a bed can be a major purchase, but we make it easy here at The Mattress Man. We offer a full spectrum of financing options that can help you afford a great new bed. 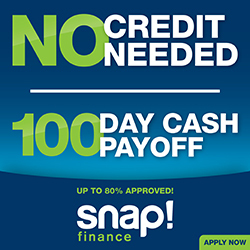 Even if you have bad credit or no credit, odds are good that we can help you. 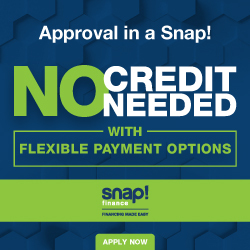 Our mattress financing does not require a credit check. When it’s time to buy a mattress Lanham MD visitors can see us, select the bed they want, and immediately get started with their financing and payment plans. It’s as simple as that for our select bedding! Not only that, but we also offer 0% interest for 12 months. That’s right — the good old days of paying no interest on your bedding purchase are back again here at The Mattress Man. That means that if you pay off your full purchase within 12 months, you pay no interest at all. Even if you don’t have much cash, the best in Maryland bedding is still available to you today. All you need to do to find the bed of your dreams is call, email, or visit our showroom. Special Discounts Direct From The Mattress Man Help You Achieve The Best Deals We want to make bedding easy for all the members of our community, so we offer special discounts to show our appreciation to people throughout Lanham and the state of Maryland. We are always looking at new and better ways to offer specials and discounts. For now, we are offering discounts to members of the military, to senior citizens, and to government workers. We know how challenging it can be to serve, so we want to make sure that members of the armed forces get a good night’s sleep. Likewise, sleeping well is the key to quality of life in your golden years. We also work hard to offer the best sales for holidays and special occasions throughout the year. We work on an aggressive pricing model that allows us to provide you the very best values! Don’t Wait Another Night To Get The Kind Of Sleep You Need … And Deserve! Sleep is one of the most important parts of life. If you sleep well, you can achieve practically anything while you’re awake. The Mattress Man is here to spread the joy of good bedding to every corner of Maryland. Don’t take our word for it: Come to our showroom today and see the amazing selection of leading bedding brands at prices that will amaze you. You’re sure to find something you like! Need more information? We’d be glad to answer your questions. Just call or email us to discover more right away. The Mattress Man is Maryland’s #1 choice for the best bedding in the state! Mattress Man MD offers mattress and bedding in Lanham MD. We have all types of beds and offer lowest prices guaranteed!